It looks almost certain that Rajinikanth will continue with his acting career, as he dilly dallies regarding the launch of his political. Last week he completed the shoot of his upcoming film Petta, directed by Subbaraj, 15 days before schedule and now the film is getting ready for a Pongal release. The big buzz in Kollywood now is that Rajinikanth has agreed, in principle, to do AR Murgadoss’ next film. Murgadoss is currently gearing up for Vijay starrer Sarkar, which is slotted for a Diwali release. A few days back he told members of the Rajini Makkal Mandram, a precursor to his to-be launched party, that he will never allow those eyeing money and posts to join his movement. Rajini said, “ I want a change in the political space and I’m committed to ushering in a change without money power. Do not join my outfit if you are looking for party posts. I want to bring about a change in the current politics. Please first look after your family and their needs and don’t join for trappings of money and lure of posts”. Rajinikanth expressed his views in light of recent disciplinary action against some office bearers and a "misinformation campaign" that such steps were taken without his knowledge. Defending the action, he said only those who had acted against the RMM's principles were removed. The superstar’s baby steps into running a political outfit ran into trouble immediately as DMK mouthpiece Murasoli ran a sarcastic Q & A format under the pseudonym Silanthi (Spider in Tamil) in reply to a peeved “fan” of the actor. The satirical piece titled “He is the black sheep meh, meh, meh”, actually is a punchline from the superstar’s film Enthiran (Robot). 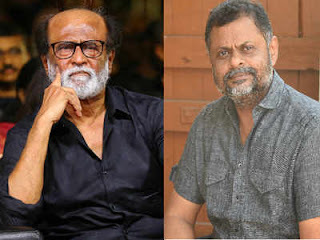 It accused Rajini of being a puppet in the hands of unknown individuals and being supported by communal elements.